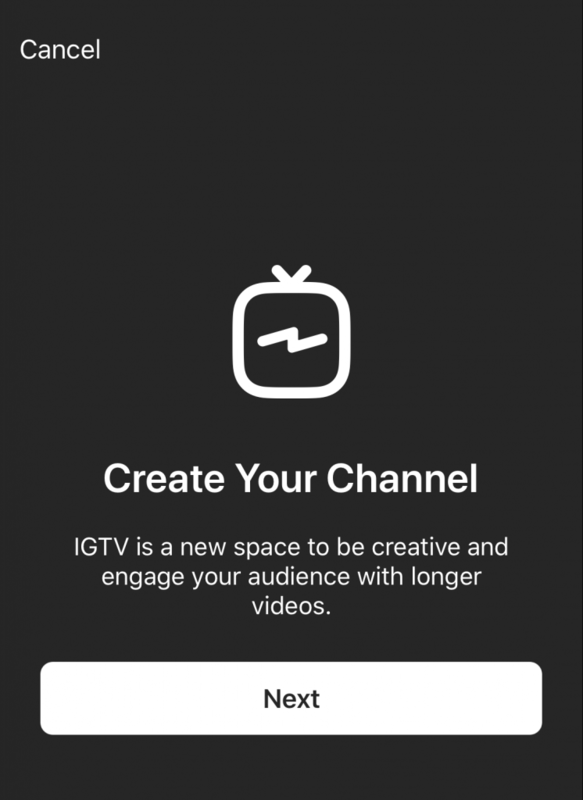 What makes IGTV an interesting option for sharing creative video? How does it work? Should you use this new video sharing tool? Find out the answers to these questions and the top ways to use IGTV to promote your brand and business in this post. Read on. On June 20, 2018 Instagram launched a new Long Form Video app called IGTV. What makes IGTV an interesting option for sharing creative video? How does it work with the regular Instagram app experience? Should you use this new video sharing tool? Find out the answers to these questions and the top ways to use IGTV to promote your brand and business in this post. Read on. 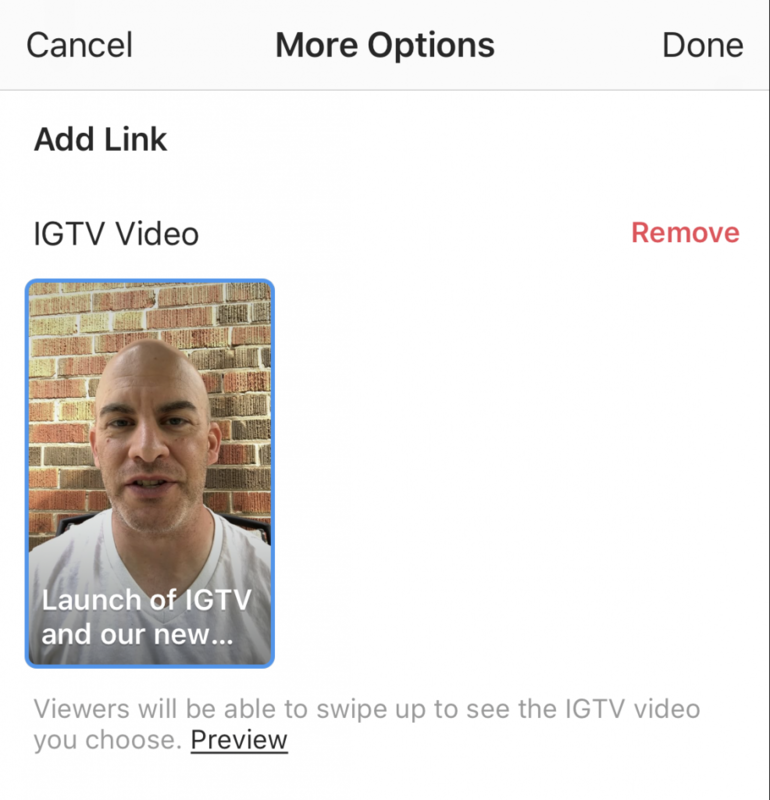 IGTV opened the ability for people with an Instagram account to share long form video. What exactly is long form video? Basically it’s longer video clips. You no longer have to be constrained to 15 second story clips or one minute video post duration time limits. With IGTV you can share video up to 10 mins in length (Currently most accounts are limited to a 10 minute limit however some larger accounts may have the ability to post up to 1 hour in length). Rumours suggest that this 10 minute maximum time limit is temporary and eventually every account will be able to share clips longer but for now it appears most accounts are limited to up to 10 minutes. What makes IGTV a unique video sharing platform? First, the platform is focused on encouraging you to share tall (vertical) video. Not traditional wide (horizontal) video. This allows you to occupy the entire screen of a traditional mobile smart phone. The idea is that there is less to distract you from become immersed in each video clip. No on-screen comments or other visuals. The entire screen is for the video content. Second, IGTV is meant for mobile video viewing. As of the time of this blog post, IGTV content can only be viewed from a mobile phone. This is also unique from other platforms like Facebook and YouTube. Interestingly, you can see your own IGTV content and upload videos via desktop but you can only see other peoples IGTV content through the Instagram and IGTV apps. Third, the fact that IGTV is mobile only raises and interesting consideration in terms of viewer analytics. You will know that your content is consumed 100% from mobile, so you won’t have to consider if people watch it more on mobile vs. Desktop. So, now that you understand the basics of what IGTV is and what makes it unique, let’s jump into how to get started. When you launch the app it will ask you to login with your Instagram account name and password. It’s that simple. Now you can select and upload videos to your channel. The idea is to give yourself or your brand your own channel. Your own space to create and share video that’s longer, longer than a 15 second story clip or longer than a one minute Instagram post. IGTV videos are featured on your profile. 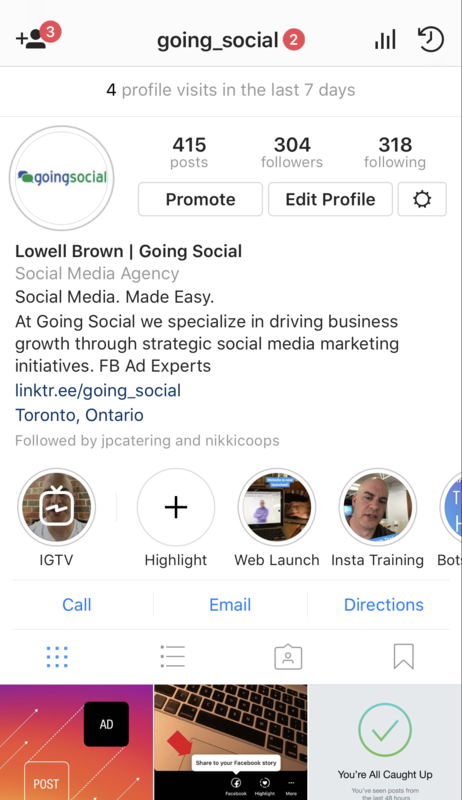 If you have recorded a IGTV video to your channel it will be featured in your profile. With IGTV, you do not record video within the app, like you do with Instagram. You first record the video (edit if you need to) then upload the video from you iPhone to your channel. This gives you the option to get creative on how you create your video and gives you time to prepare more professionally produced clips, if you choose to go that route.You can, for example, create video with more professional equipment, edit on your computer and then copy to your phone to upload to your channel. Obviously that’s a lot more work than simply recording a video with your phone, but it’s an option if you want to put more work into your channel videos. You can upload video via desktop. 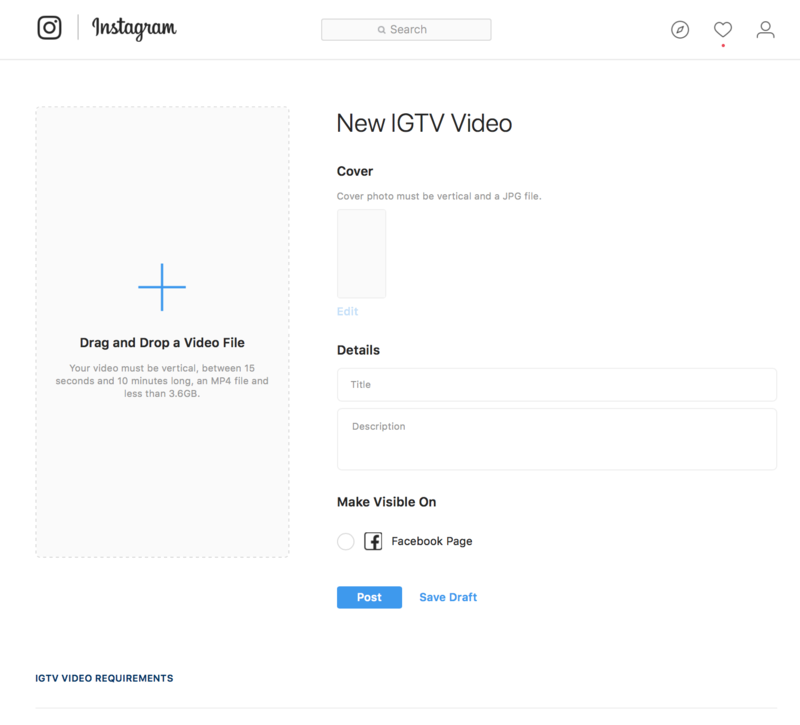 Just login to your instagram account, go to your profile, click the “IGTV” tab and press the “upload” button. You can link a Instagram story post to an IGTV video. It’s different than sharing. You have to create a story, but there is a new “link” button but there is a catch, If you share a link in your story it will display a “swipe” note at the bottom of the clip, but this also removes the ability to add comments on the stories clip. You can add an active link in the video description. When you create a new video you can include a link in the description that works. This is something that does not work for regular Instagram posts. Use Hashtags in your video description. One of the best ways to have your video content discovered is by including hashtags in your video description. 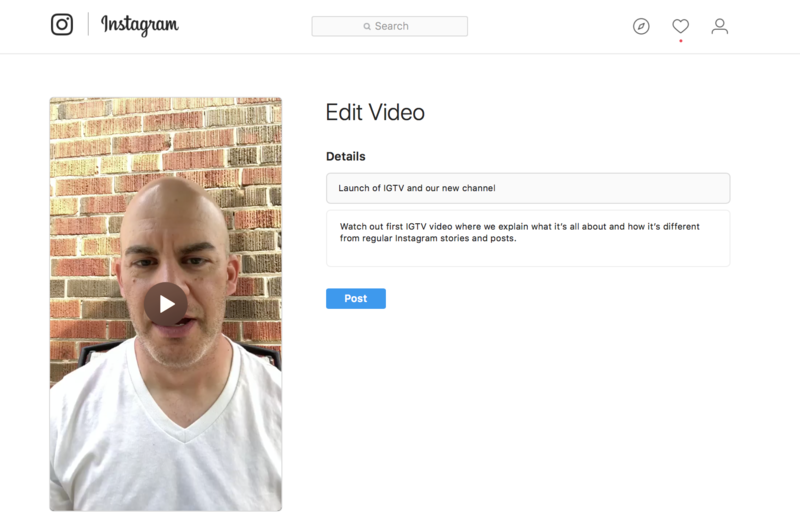 Just like posts on Instagram, IGTV videos are searchable by hashtags and keywords. You can edit the video title and description after it’s posted…but only via Desktop. This is one of those ninja pro tips. As many people will only post via mobile it would appear that you can’t edit the title or description once you have posted it, but you can. Just login via desktop, click on your profile, click on IGTV, select the video and edit. Watching IGTV videos is easy. You can scroll stories (videos) by scrolling left to right. Videos autoplay When one ends, another begins. Limited video stats are available. You can see stats by clicking the 3 dots next to the like, comment, share buttons. Click “View Insights”. Currently you can review engagement stats such as number of video views, likes and comments as well as audience retention – the percentage of the video watched. You can share your video to your Facebook Page. When you share your video it will show like a regular post on Facebook. 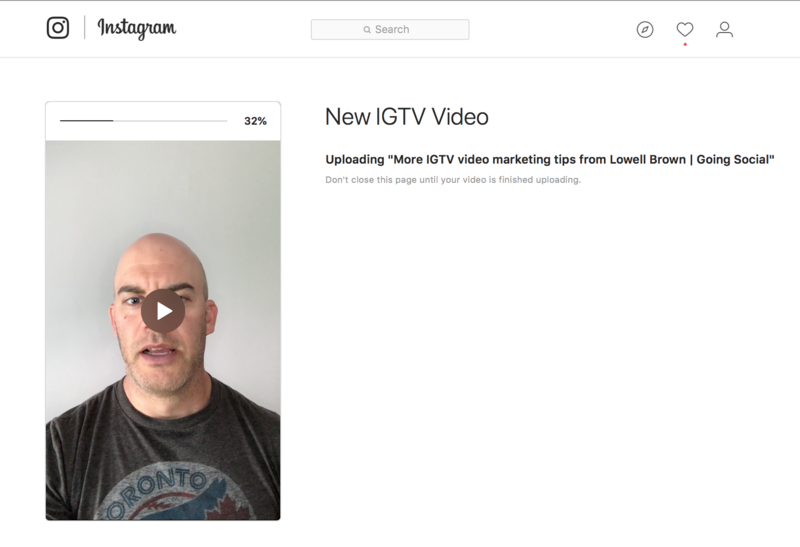 It does not share the IGTV video as a Facebook Story and does not stand out to show that it’s an IGTV post – so there is no cross branding to drive traffic to your IGTV channel. Pro Tip from @JennHerman: Instagram Live videos saved to your device (even if shorter than 10 minutes) don’t appear in the gallery of videos to upload. A workaround for this is to save the live video to another folder on your device (for example, save it to your Google Photos folder). So here is my question to you. If you had your own channel, what would you talk about? What info can you share that will help other people? What content can you share that will make you stand out as a thought leader in your own industry?